Facebook has recently released “Facebook Live”, a live streaming video broadcast feature which means Facebook Live Streaming of events in UK using NewTek TriCaster is free to everyone! This is fantastic news for any company or brand wanting to share live content with their audience as it means that live events, product launches and press conferences can be seen by a potential online audience of 1.65 billion people. Facebook has always been the place to be for social media engagement and I think this new feature is the most exciting live streaming development in years and a huge opportunity for any organisation with a Facebook presence. My main concern with the new platform is the quality of the content being broadcast and the impact this might have on the audience experience. Our expectations on video quality have quite rightly increased rapidly in recent years and there is a danger this new feature could be a bit of a backward step in the never ending quality v content battle in online video. Otherwise pleasant folk can turn into monsters online and a poor quality broadcast that looks a shambles will be ripped to pieces and no doubt shared extensively for all the wrong reasons. On a more positive note, it is possible to live broadcast to the site using professional audio visual equipment to create a visually pleasing, high-definition viewing experience for all of your Facebook page followers. The NewTek Tricaster system that I use when producing live events, has built in streaming capabilities that allow a professionally mixed video feed (with high quality audio ) to be sent to the site directly and then on to your audience’s laptop, tablet or smartphones. There are a few limitations to the new feature such as a maximum event run time of 90 minutes and frame size capped at 1280 x 720, but the positives of the offering far outweigh any negatives. There have already been some excellent examples of use of the platform from global brands such as Benefit and Airbnb, and I expect it’s usage to explode in the coming months. If you have any questions or would like to find out more about how we can work together on a Facebook Live Streaming project, please do contact me. 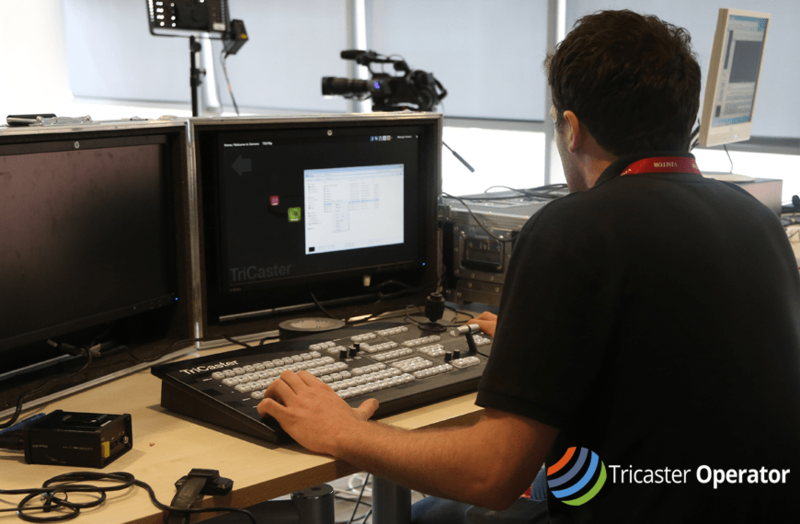 I'm a Newtek Certified Freelance Tricaster Operator based in the UK. I am happy to vision mix, direct and edit on your equipment or can bring all my own kit with me. If you've got any questions or want to chat about your next project, go ahead and get in touch.